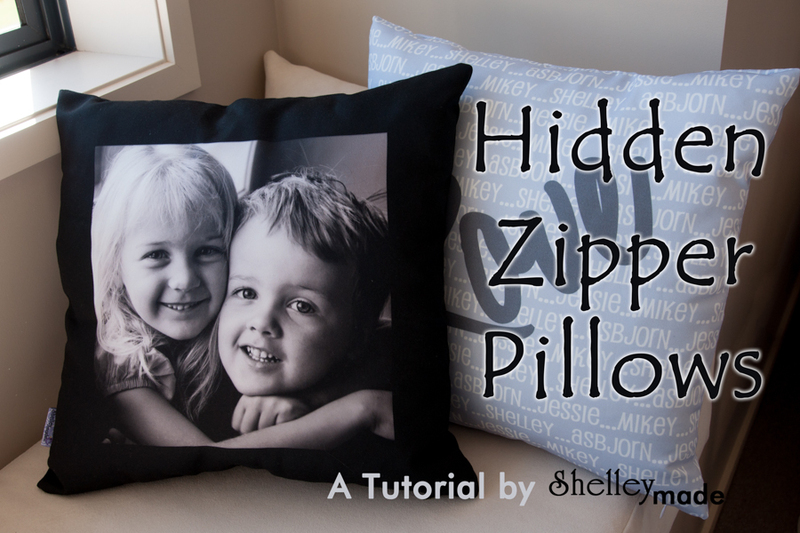 Sewing an invisible zip into a pillow or cushion (depending on where you live, and what you call it) is not scary. Really. Truly. Hopefully this tutorial will show you that! 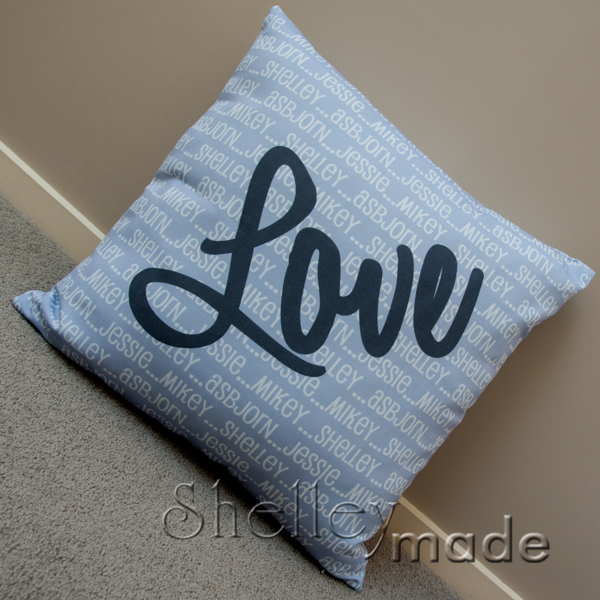 It also makes a lovely, professional looking cushion. 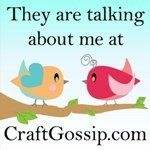 I've used my own fabric designs here - but you can use any piece of fabric you like - at any size you like. A fairly standard size seems to be 18 inches - which is also the length of a Fat Quarter, so that's what I've gone with. First you need to get your squares ready. 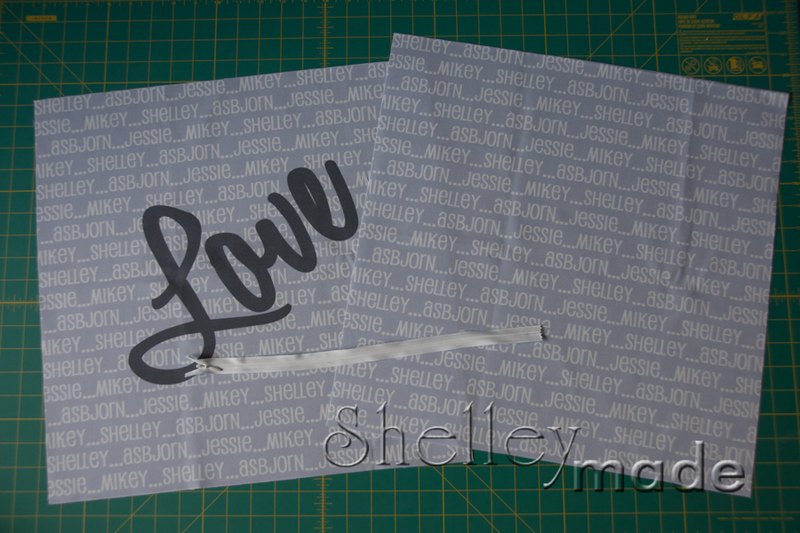 Cut them out to size, then you want to protect the edges from fraying. 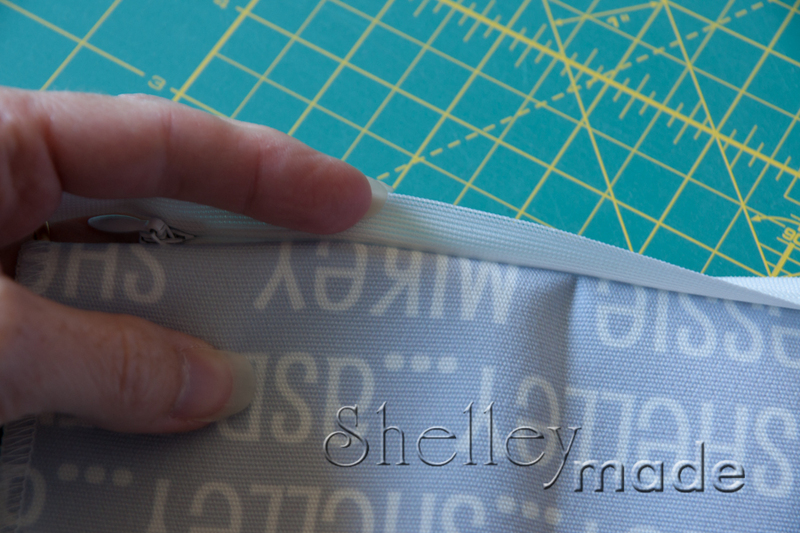 To do this - you can either use a zig zag stitch right along the edges of each piece on your sewing machine, OR you can use an overlocker/serger like I did in the examples, OR you can use pinking shears if you have them. 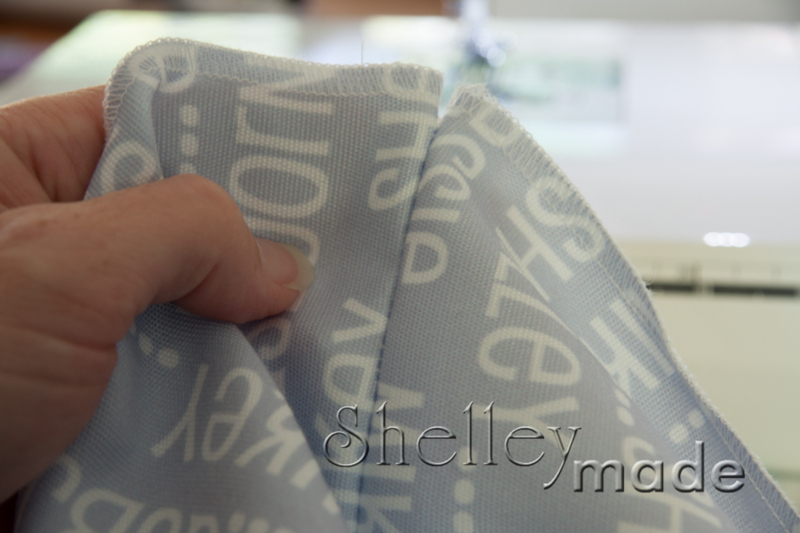 Finishing the edges like this before you start to sew will make it a whole lot easier, and tidier than trying to do it at the end. 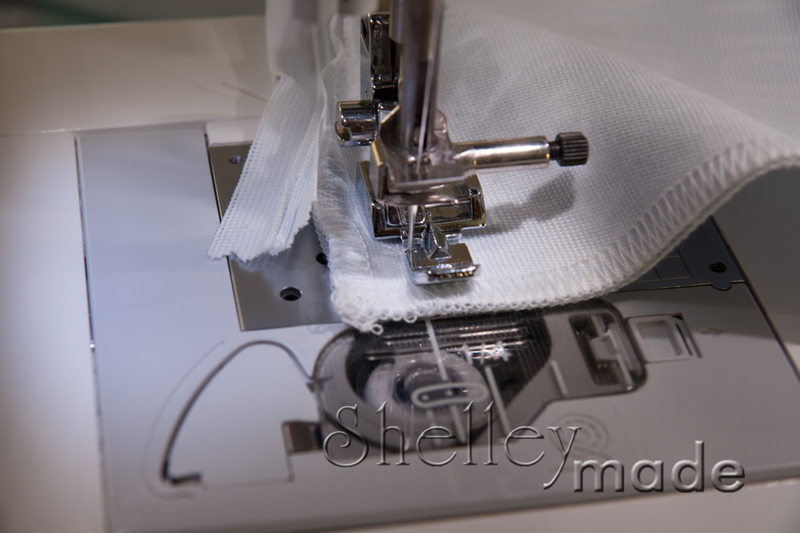 In my images I'm using an invisible zipper foot - but it's not absolutely necessary. I just prefer using one. A regular zipper foot will work just fine. You want the zipper to be upside down, with the open end lined up at the far right - and the opened zipper head at the left. 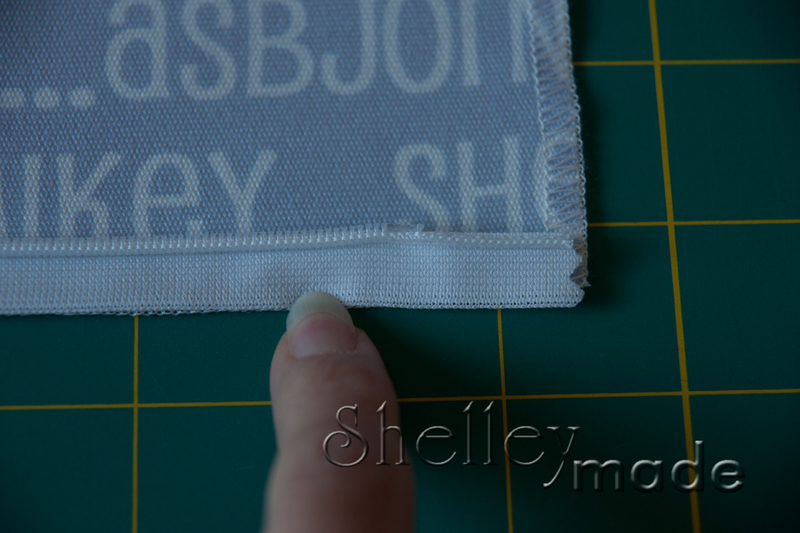 Don't worry if your zipper doesn't go the whole length of the panel - as long as it will open up enough for you to get your insert in it's just fine! 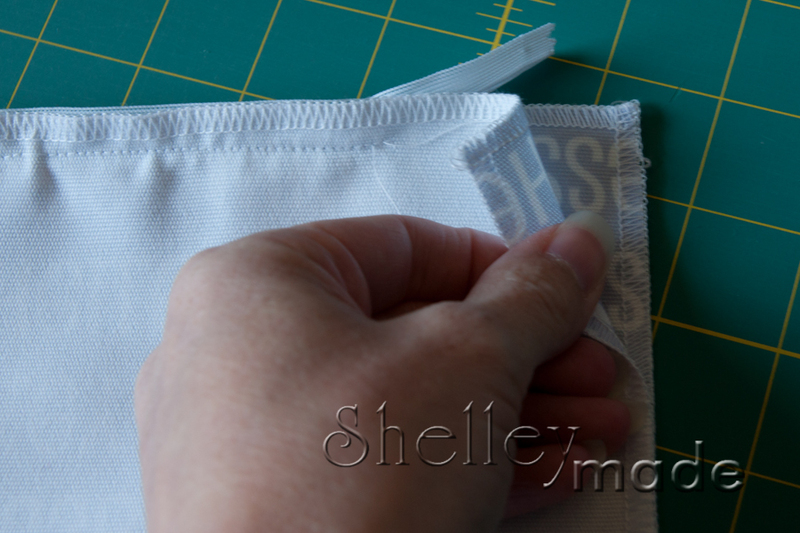 This way, you can sometimes make do with a shorter (and cheaper) zipper if it is all you have to hand. Now it's time to sew. See where my finger is pointing in the picture above? 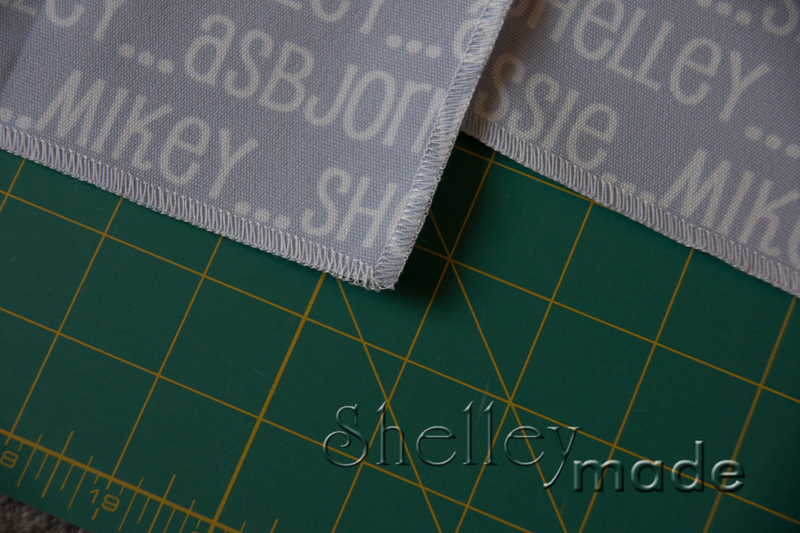 That's where we are going to start sewing...1.5" (3.8cm) in from the end. Put a pin in there to remind you that's where you are starting. Now, some people will say you should iron the teeth (the interlocking pieces) of the zip flat now - but I don't find that necessary. I do raise them a little with my fingernail as I'm feeding it through the machine and I find that is enough. Install your zipper foot. 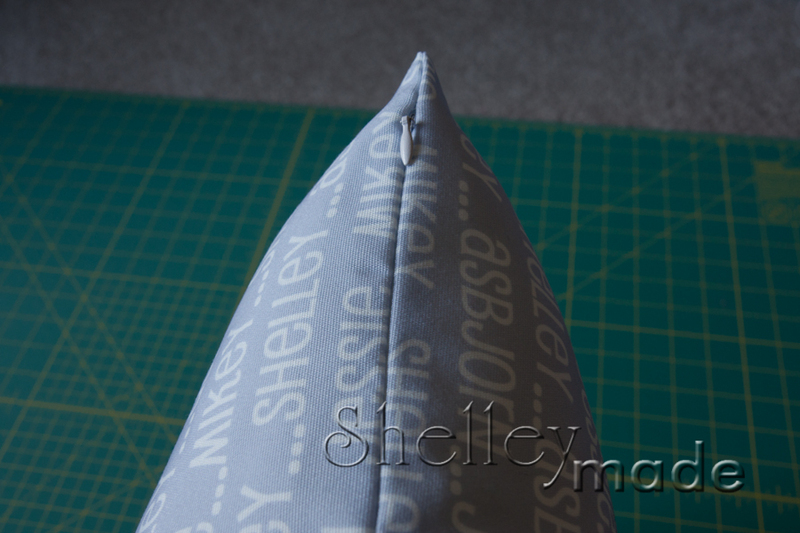 In my case (with the invisible zipper foot), I needed to use the centre needle position, and line the groove up on the left with the zipper teeth. I've moved the fabric through the 1.5 inches I needed, and now we sew as close to the right side of the teeth as we can. 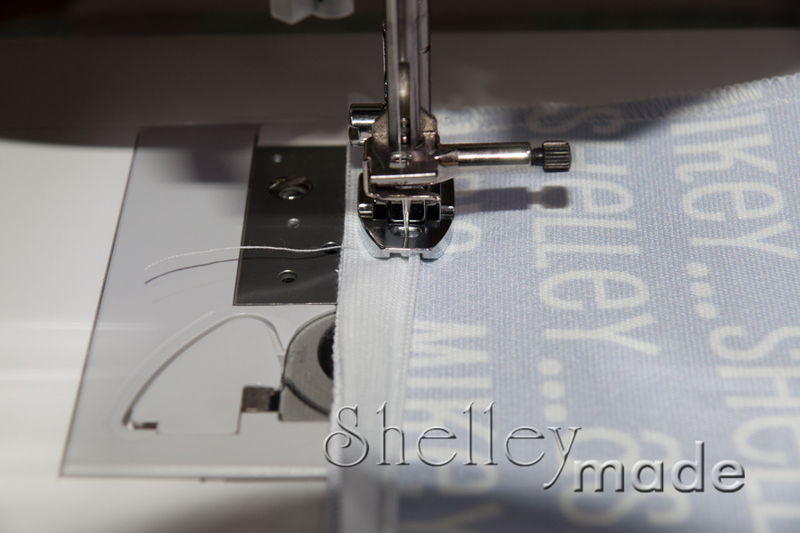 Remember to backstitch both at the start and end of stitching. Now - before you head off to do the other side - a tip. Check you can close your zipper right now. Before you go any further. That way, if you have sewn a little too close to the teeth, at least you will know it's on this side - and it will make fixing it a lot easier :) It's unlikely - but if the zip does catch, just unpick the stitches causing the issue, and re-sew just that section. 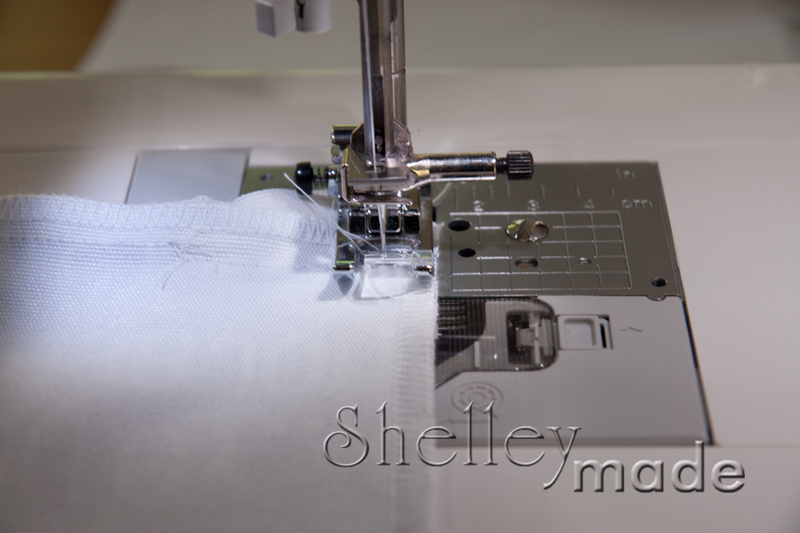 It might seem strange to have the fabric on the right of the machine rather than the left - but I find I get my zippers lined up much nicer this way - as I am starting with the same end each time. 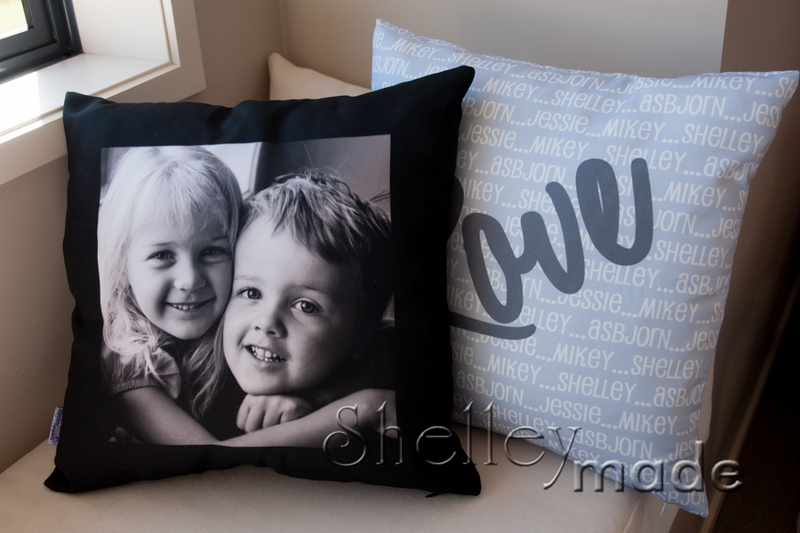 To complete the cushion we need to do two things. 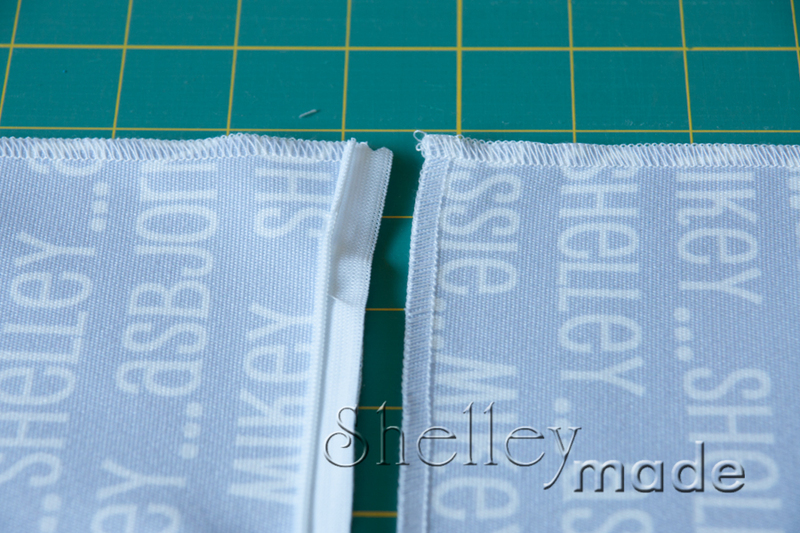 First, close the 1.5 inch gaps on each size of the zipper, then sew around the three remaining sides. 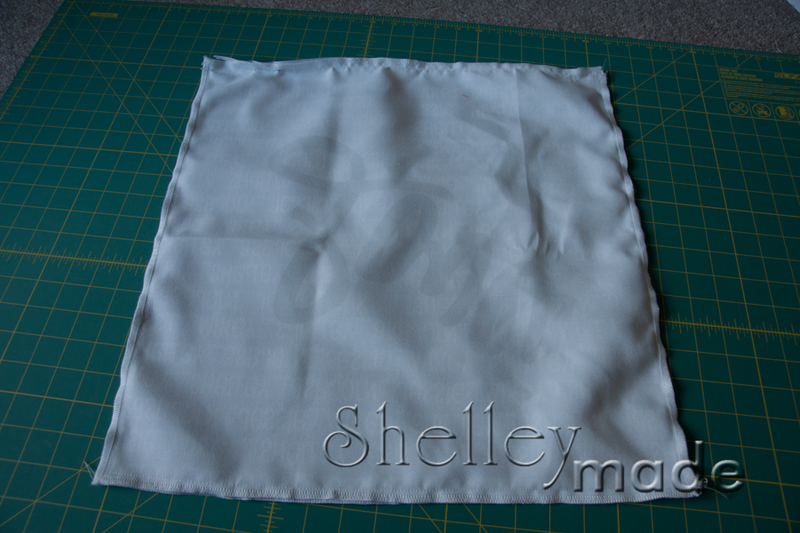 Your corner should match up nicely, and we now want to sew from where I am pointing - out towards the edge. 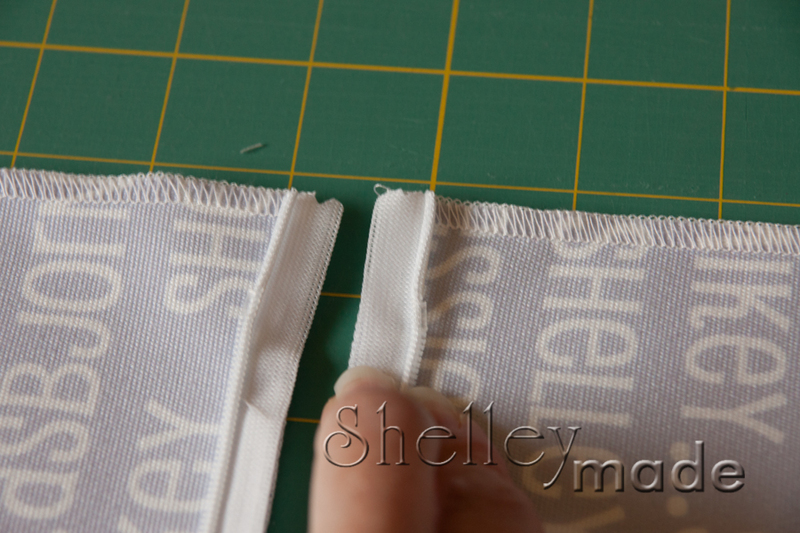 To close the gaps, I change to my regular zipper foot. You might already be using yours, if you don't have an invisible zipper foot. 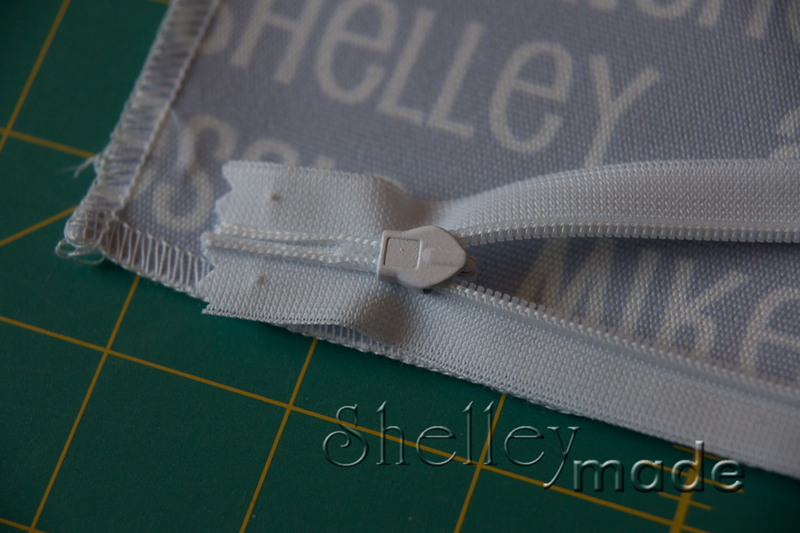 I want to get as close to my zipper stitching line as I can. Being a little further in from the line is fine - in fact it helps to close up any gap you might have where the zipper can show through to the right side. 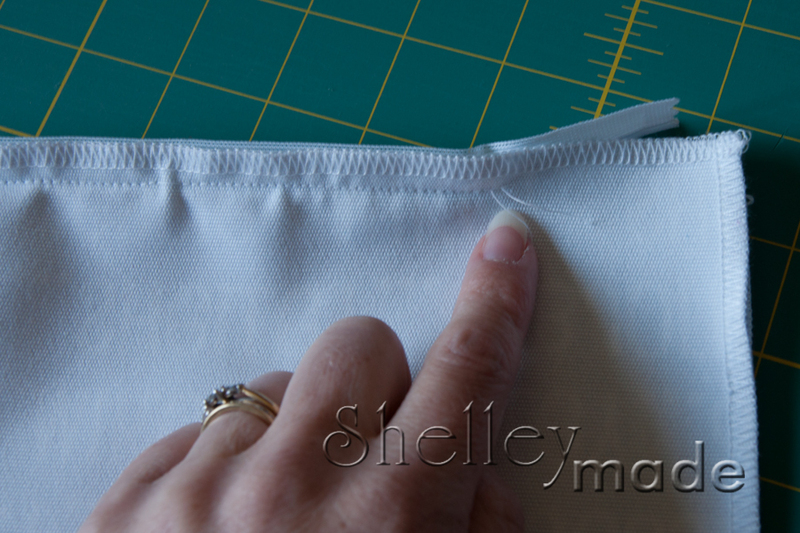 Make sure you pull the zipper out of the way while you sew. 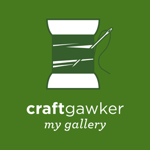 I usually stop just a little in from the edge - when I hit the overcasting. 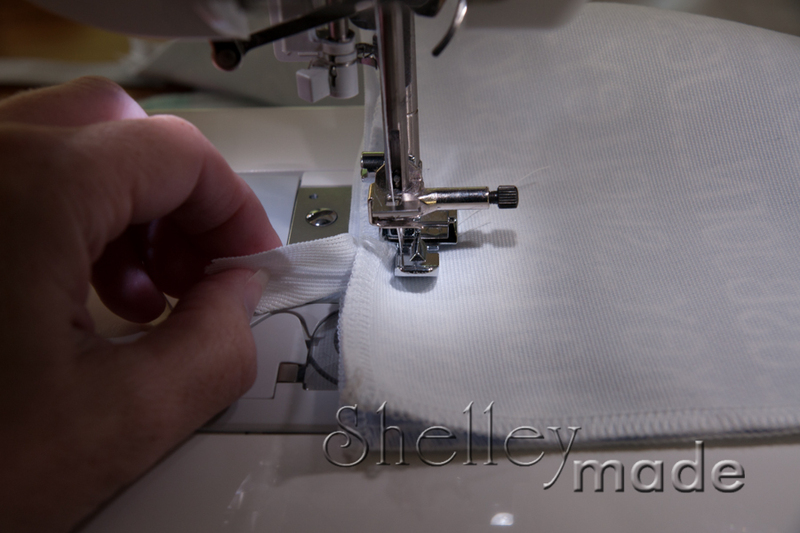 I usually use the width of my regular machine foot to finish off the cushion. 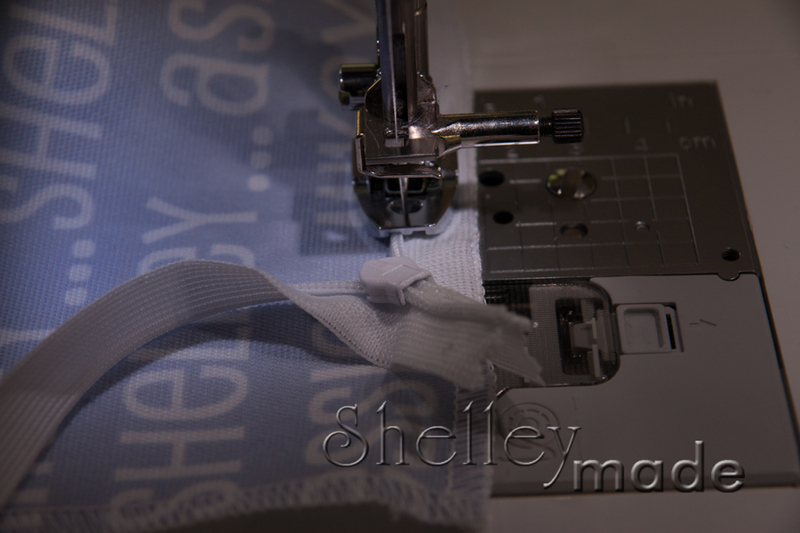 Start at your top stitching line, and sew all the way around the three open sides. 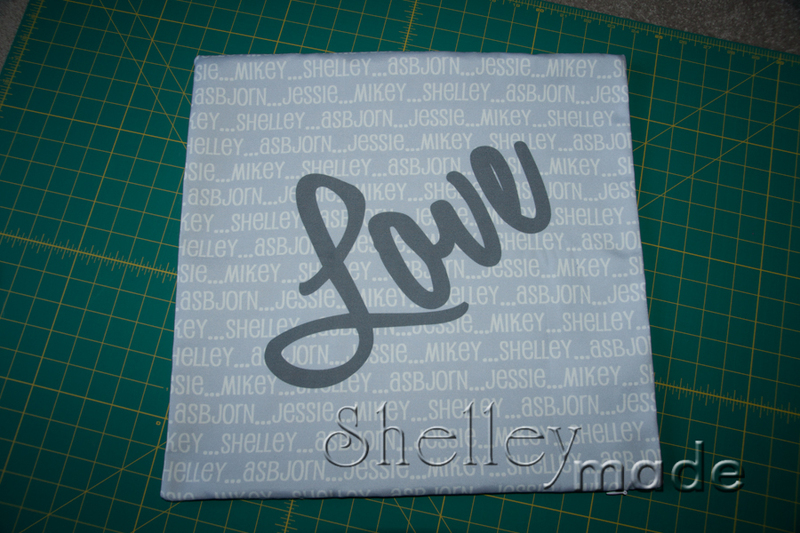 Turn it through and your cover is complete!